Gift cards are awesome gifts, but they look so uninteresting under the tree. 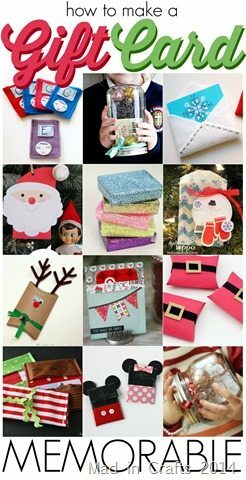 I have put together a round-up of memorable gift card packaging ideas that are guaranteed to make your gift card stand out. MOD PODGED CASSETTE CASE – MOD PODGE ROCKS! UPCYCLED CEREAL BOX CARD HOLDER – MOD PODGE ROCKS!